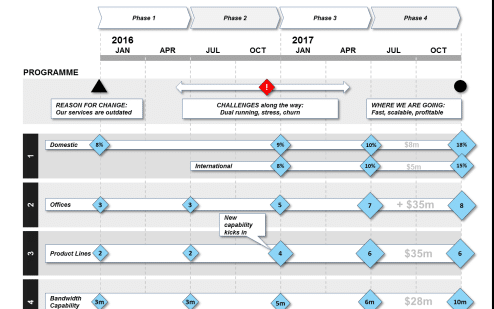 This Roadmap Template features a PEST factors area, where important Political, Economical, Social and Technological factors can be listed on the timeline. 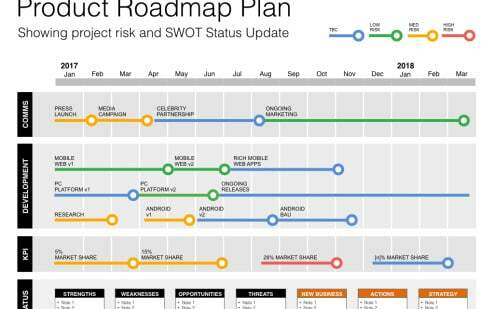 This Roadmap with PEST factors area. Click to enlarge. 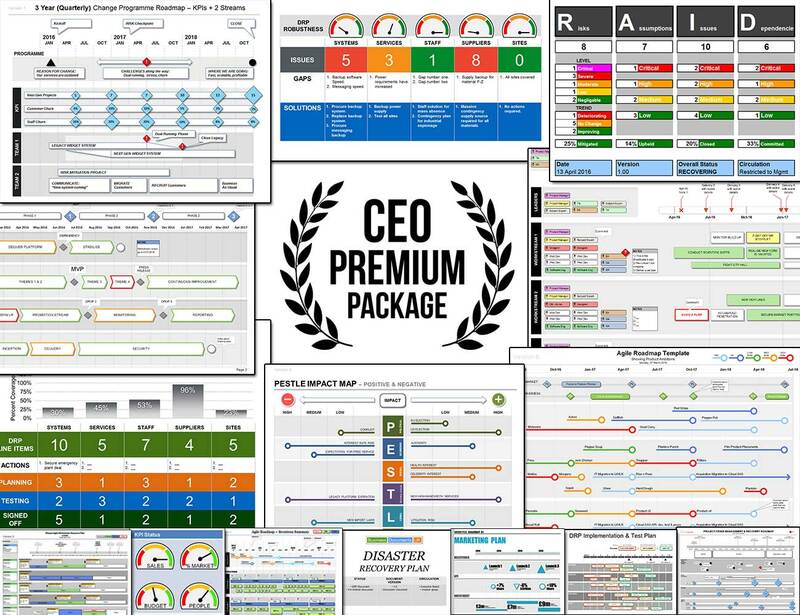 This helps strategic planning by encouraging you to uncover the environmental factors will affect your projects and business.